This weekend brings two holidays to the Eugene, Cascades & Coast region. While Labor Day may be the only official one, many University of Oregon fans deem the first football game of the season as an unofficial holiday. So why not get the celebration started a day early? The Duck game isn’t the only show in town. Here’s a list of our top things to do this Labor Day weekend. Labor Day Weekend on the Territorial Wine Trail Friday - Monday, South Willamette Valley Wineries Enjoy beautiful venues, specials on wine, live music and wonderful food throughout the south Willamette wine country all weekend long. Last Friday ArtWalk in the Whiteaker Neighborhood Friday, Whiteaker Arts District (Eugene) Stroll through "The Whit" to see 20 public works of art ranging from wall murals to sculptures. Neighborhood galleries, artist studios, eateries, live music venues and tasting rooms will open their doors to share local exhibits and promote local art. Domaine Meriwether Presents Jen Sennett at Sparkling Nights Friday, Domaine Meriwether Winery (Veneta) Start Labor Day weekend off with live music by Jen Sennett, plus sumptuous free wine tasting, food available for purchase and local beer and cider on tap. Cheers! 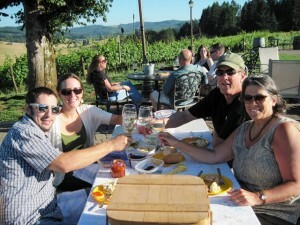 Live Music at the Oregon Wine LAB Friday, Oregon Wine LAB (Eugene) Sip wine from some of the area’s smallest wineries while listening to singer-songwriter Elizabeth Yandel as she rings in Labor Day weekend. Oregon Ducks vs. South Dakota Coyotes Saturday, Autzen Stadium (Eugene) Labor Day weekend kicks off football season with the Ducks welcoming the South Dakota Coyotes for the home opener. Oakshire Cup SoccerGolf Tournament Saturday, ShortRidge at River Ridge (Eugene) This three-hour tournament combines two of the region’s favorite sports – soccer and golf. The event will be held at the new soccergolf course in town, and all proceeds will benefit KidSports. Oakshire Brewing will be sponsoring a closest-to-the-pin contest on the fifth hole, where there will also be a free tasting of the brewery’s fantastic ales. Brews Cruise 5K Monday, Whiteaker District (Eugene) Run through the heart of “Brewgene” in this Labor Day 5K. The route begins at Hop Valley Brewing Company and finishes at Oakshire Brewing. 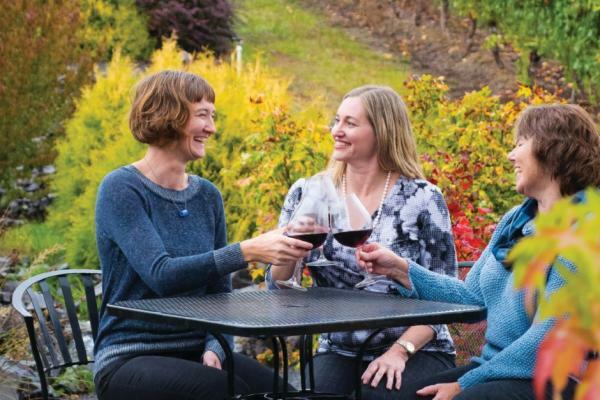 A portion of the proceeds will benefit Head Start of Lane County. For more ideas, visit our Labor Day weekend events calendar.